Tucked inside the 7th Street Public Market is a market stand that just may be my favorite new place to go. 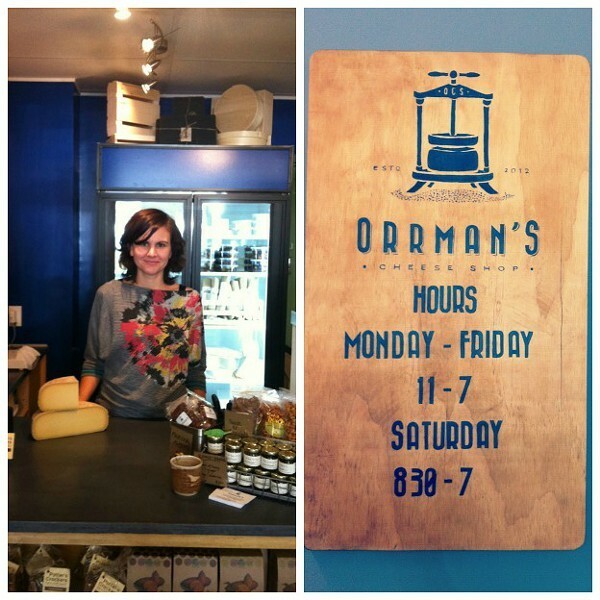 Orrman’s Cheese Shop is where cheesemonger Rachel Klebaur set up shop last month to profess her love of cheese publicly. Featuring local and regional cheese producers and small batch artisan products, Klebaur’s stand is more than a cheese oasis — it’s where she does her part to help the little guys. Named after the maiden names of her two grandmothers, Orrman’s Cheese Shop mirrors the image of its owner — petite in size but with a whole lot to offer. The shop spans a mere eight feet in width. That’s not much to work with, but Klebaur manages to make the customer feel as if they have walked right into a stand-alone cheese shop. Once you step in, the market noise falls away and the tiny shop envelops you. The cheese case takes front and center. 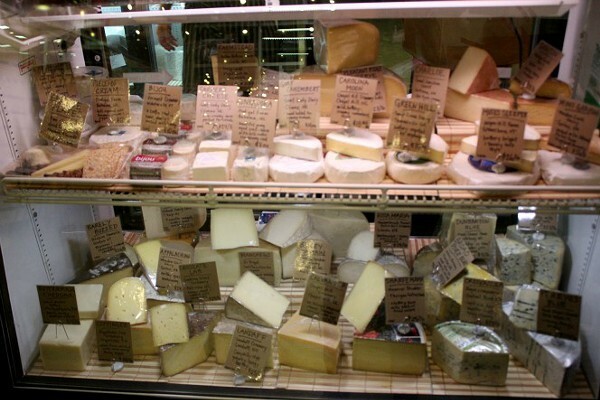 Handwritten labels display local and regional cheesemakers along with a few not-so-local superstars handpicked by Klebaur. Familiar names like Bosky Acres goat cheese from nearby Waxhaw mingle with the Hunkadora cheese from Prodigal Farms in Bahama (pronounced Ba-hay-ma), North Carolina and Calvander cheese from Chapel Hill. The labels give a brief description, but let Klebaur tell you about them. This is where she shines, as a passionate storyteller. She unwraps a wheel of farmstead cheese with tangible excitement, telling me this is her favorite part of being a cheesemonger. Walking me through the process, she examines the rind and cheese paste, detailing the creamery where it was made, taking me on a journey. Klebaur 's extensive experience has instilled a sense of caring for all aspects of the cheesemaking process, from production and care to distribution. She understands how difficult it is for producers to tend farm, make cheese, package it, haul it to market and sell on their own. 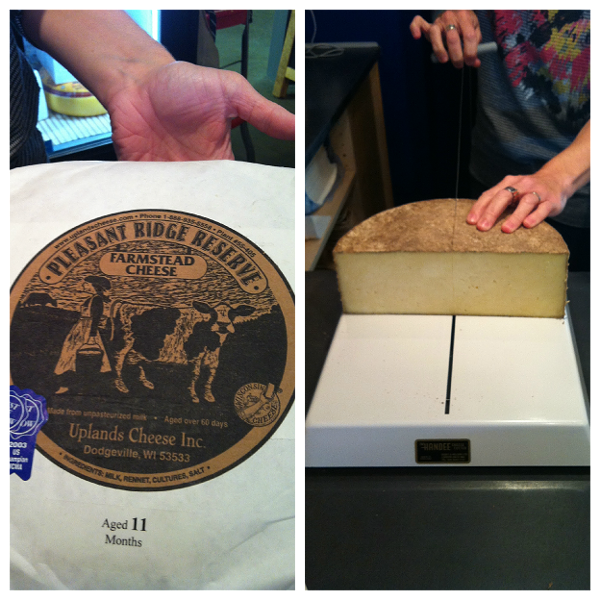 “I wanted to create a place where local cheesemakers can sell their cheese six days a week,” says Klebaur. After culinary school, she began working in the famed Bleecker Street cheese shop Murray’s, where she learned the art of caring for cheese. It was her experience managing a retail shop, however, where she became inspired by her relationships with various producers. At Orrman’s, people aren’t simply purchasing cheese; they are connecting with the cheesemakers through Klebaur’s personal relationships and knowledge of each one. This same sentiment carries over into the small batch artisan products that line the shelves to the left and right of the cheese case. There are gourmet nut butters from Big Spoon Roasters in Durham, goat milk caramel to die for from Looking Glass Creamery in Asheville and so much more. I think it’s safe to say that, at Orrman’s, big things really do come in small and meaningful packages. Orrman’s Cheese Shop is located inside the 7th Street Public Market with hours Monday through Friday from 11 a.m. to 7 p.m. and on Saturdays from 8:30 a.m. to 7 p.m.